What I’m hoping to achieve with this post is to drop the technical jargon for a minute and explain in down to earth words what is WordPress, how can it help you, what is WordPress.com, what’s a theme and why do you need plugins. WordPress is a free web software that anyone can use to create and update a blog or web-site. The journey of WordPress started when Matt Mullenweg, its founder wanted to give a better experience when using a blogging software and start building WordPress in December 2003. Almost 14 years ago WordPress was just a blogging platform, but today the platform is the most powerful and beloved content management system. But now, we use WordPress not just for blogging but also to build and run various types of websites and extend the functionalities with custom themes or plugins. WordPress is growing stronger and stronger with every nee update he gets, empower various types of business and is currently used by millions of people. One of the reasons why people quick choose WordPress is because it offers an user-friendly interface and for its ease of use. The most important fact is that you can manage your entire website without any technical knowledge or the need to write code. Everything is done from the admin panel where only authenticated users can access and modify your website. As mentioned above, WordPress is an open source software built by a community, which means you are free to run and bring changes in order to improve it. In order to get to know more on why WordPress is a free project and why you should use it for your business, we recommend you to read the great article WPKUBE has published. Create new pages for your website or blog (like an About Us or Contact page). Create menus so your site visitors can find the way around the site and discover relevant information. Write articles in a chronological order so the newest articles are always at the top. Allow visitors to leave comments to the articles (or posts) you’ve written. Gives you the possibility to have multiple users that can create and update the information on the website. (this is called user management ). Gives your site a unique design by using Themes (more on this later on). Adds extra functionality that doesn’t come standard with the default installation through Plugins (something simple like a contact form or even a forum for your users – we’ll talk about this later on). Improve your SEO efforts, since the platform uses a high-quality code and have semantic markups that make your website attractive to search engines. You can further extend the SEO functionalities by using SEO plugins. Handle different media types, such as images, audio, and video content, but also documents. WordPress also support the embedding of certain elements from third-party websites: Tweets, YouTube videos, and Instagram photos, just paste the URL in your post. You can install WordPress on your web-server (or hosting account) and then easily manage your website content, pages or media files. The platform has its own update system that gives you the possibility to update the WordPress versions, Themes, and Plugins within admin dashboard. Installing WordPress is a piece of cake for most of the tech people, but for a beginner, there are some steps you need to understand and follow in order to have your website up and running. We recommend you to read this in-depth tutorial that describes further seven ways on how you can install WordPress. Isn’t WordPress just a blogging software? While WordPress started as a blogging software it’s now used by companies and institutions all across the globe manage and update their websites. The New York Times, CNN, Ford and People Magazine, just to name a few, are using WordPress to power certain parts of their online business. WordPress can be used as a publishing platform for news sites, membership site, online shop and even as a social network similar to Facebook. To put things in perspective, from all the websites in the world, around 27.5 are using WordPress to manage and update their content. The growth of WordPress usage went from 14% (back in 2011, when we first published this article) to double, currently empowering 27% of the websites from around the world. There are two flavors of WordPress. On the one hand, there is the open-source free software that you can download and install on your website from http://wordpress.org. On the other hand, there is http://wordpress.com, a self-hosted service that gives users the possibility to create blogs for free without the need to have a hosting account. 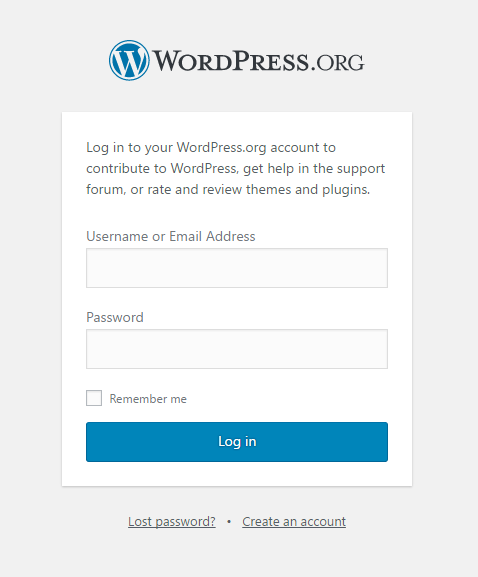 As a user of WordPress.com, you can choose to manage, publish and edit posts from the Calypso interface, that was launched back in November 2015. The company behind WordPress.com is called Automattic. The CEO of Automattic, Matt Mullenweg who is also one of the co-founders WordPress, the open-source software. Fundamentally, a WordPress Theme is a way to “skin” your website. This means the design and presentation of the site are managed by the Theme. There are multiple places to get hold of a WordPress theme. The WordPress Theme Directory is the official site for WordPress Themes which have been checked and inspected, and are free for downloading. There are also a lot of commercial themes, however, if you are going to buy one I suggest you chose one of the companies on this page since they are released under the GPL license, the same as the WordPress software. By default, WordPress comes with a default Theme, the latest being the WordPress TwentySeventeen theme. This means that when you install WordPress on your site, it’s ready to host and manage your content right away. Themes are easy to install and use, and for a more detailed description, you can always consult the WordPress Codex on how to get started. What is a WordPress plugin and why do you need them? By default, WordPress comes with a standard functionality. Some might say it’s pretty powerful by its own, however, WordPress can’t do everything. This is where WordPress plugins come into play. Plugins are tools to extend the functionality of WordPress. Things like e-commerce carts, SEO functionality for your site, contact forms to gather leads and feedback, twitter widgets to display your latest tweets, caching plugins to speed up your site and much, much more are available some for free and some for money. Similar to WordPress Themes, there is a repository of WordPress plugins where you can find many free to download and use plugins. At the time of writing this article, there were 48,898 plugins in the repository. WordPress has come a long way in its short life. It helps millions of people publish their sites on the web, produced a vibrant community, creates jobs (WordPress consultants) and makes the entire world wide web a bit nicer and easier to access by anybody. So, the next time you need a website, just pick WordPress as your CMS! I would love to hear your opinion about why you have picked WordPress as your Content Management System, below in the comments section. Excellent write-up, I observed this just in time. I’m gonna keep this blog site bookmarked for future reseach. cheers Mate. This post is confusing to me. You seem to start off writing about wordpress.org, but show screenshots from wordpress.com. No offense meant, I just understood they are very different, but I’m new to wordpress and educating myself, so I could be misunderstanding something. I had a problem with my server and had to move files around. Now My serial key will not work for profile builder. I even copied and pasted from my account. Nothing. Can someone please help me?